Scholastic teams for varsity and middle school, both boys and girls. Students from any school district in Western Pennsylvania can join, as we operate as a combined team, a non-league squad. Coach Christian at one of the first practices in the fall of 2018. 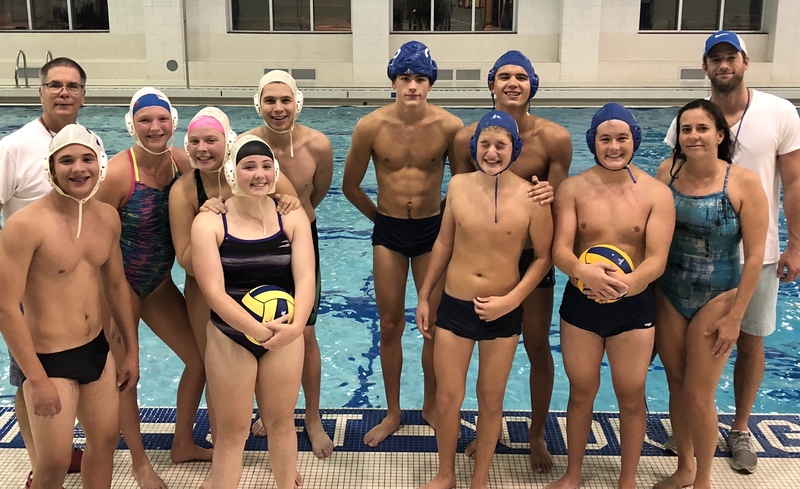 We're making new friends and giving the oldest, Olympic, team sport, water polo, a go. Our players are improving greatly. We have plenty of room for new arrivals. Get in soon, before competitive swimming heats up in November. Students, from grades 6-to-12, boys and girls, have attended from South Park, Mt. Lebo, Ringgold, Elizabeth Forward, Thomas Jefferson, Keystone Oaks, and Pittsburgh. Additional practice dates and settings are posted for Chartiers Valley, Mt. Lebo and Moon. Get Heja, a mobile app to RSVP to events so we know who to expect at practices and games. When in doubt, call or email Coach Mark, Mark@Rauterkus.com, 412-298-3432. 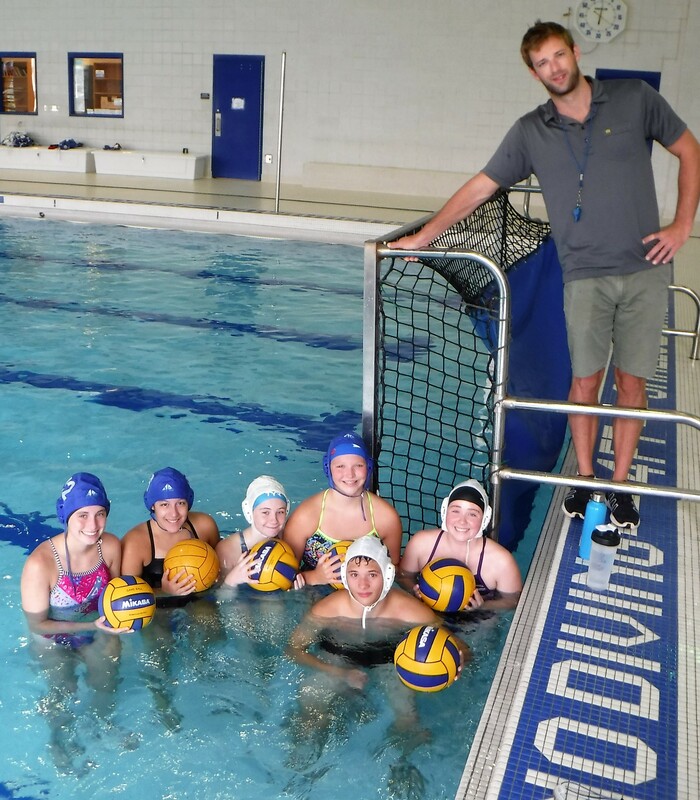 Pittsburgh Combined is a program hosted by the South Park Aquatic Club and head coach, Christian. This informational site is operated by Mark@Rauterkus.com.